Overall it was a respectable early autumn week, with a good crop of seasonal arrivals from both east and west, reflecting the conducive weather conditions enjoyed across Britain and Ireland. It was perhaps slightly ironic, then, that the rarest 'find' of the week was the American White-winged Scoter, which returned to the seas off Musselburgh Lagoons, Lothian, on 9th, and was still there on 10th. After being found in late March, there were intermittent reports of this bird to mid-May – what'll be interesting to see now is whether it lingers off Musselburgh all winter, or moves around the east coast, as other rare scoters have been presumed to do in the past. Only time will tell. American White-winged Scoter, Musselburgh, Lothian (Ian Andrews). Also from the west, and somewhat more fitting for the season, was a smart first-winter White-throated Sparrow on Foula, Shetland, on 7-8th. We tend to associate American sparrows with turning up a little later in the autumn – a prime example being the White-crowned Sparrow on the same island last October – and the only other September record of White-throated Sparrow was a first-winter on Shetland in the final week of the month in 1996. Hopefully it's the start of a prosperous season for Nearctic passerines. White-throated Sparrow, Foula, Shetland (Donna Atherton). In Northern Ireland, a juvenile American Black Tern was found at Bann Estuary, Co Derry, on 10th, although news only broke on the morning of 12th. This represents the first record for the province. American Black Tern, Bann Estuary, Londonderry (Ian Dickey). A pleasant crop of Nearctic waders was right on cue. In Britain the Isles of Scilly fared best, with a juvenile Baird's Sandpiper arriving on Tresco on 9th and showing well thereafter. It often shared its time with a juvenile Pectoral Sandpiper, one of two on the archipelago, the other being on St Mary's, where up to two juvenile Buff-breasted Sandpipers alternated between the airfield and golf course from 9th. 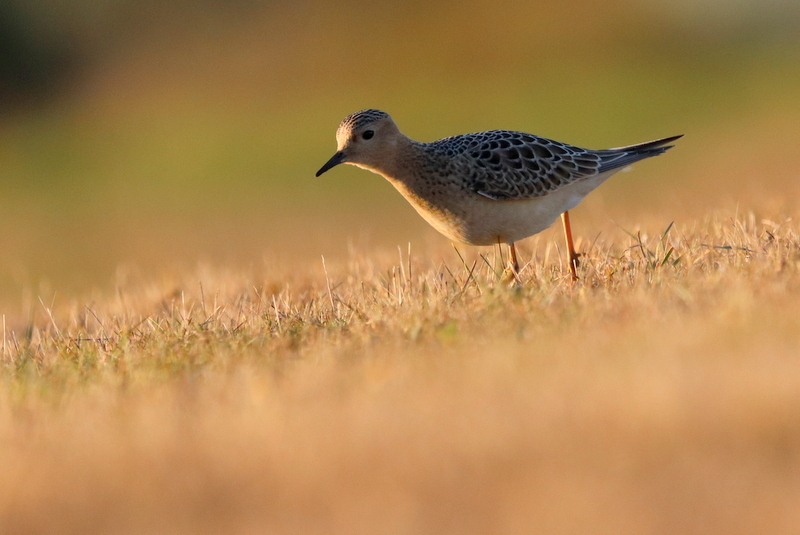 Pectoral Sandpiper, St Mary's, Isles of Scilly (Scott Reid). Elsewhere, the group of Buff-breasts on Baleshare, North Uist, increased to four on 5th, but subsequently disappeared. One also remained on North Ronaldsay, Orkney, while east coast records came from Havergate Island, Suffolk, from 6-8th and Kingsbarns, Fife, on 8th. Two arrived on Lundy, Devon, on 11th. Surprisingly, just a few were found in Ireland: one was briefly at Barrys Head, Co Cork, on 11th, following birds at Inny Strand, Co Kerry, on 8-9th and Tacumshin, Co Wexford, where there was also an adult American Golden Plover from 7th and a Pectoral Sandpiper. In total around a dozen 'Pecs' were recorded, a significant leap from next to none the previous week. Buff-breasted Sandpiper, St Mary's, Isles of Scilly (Kris Webb). Just a single Semipalmated Sandpiper was noted: a juvenile was at Skippool Creek, Lancs, from 6th, although it wasn't positively identified until 9th. Meanwhile, it appears the Stilt Sandpiper has finally left Lincolnshire, with no sightings since 4th, but the Long-billed Dowitcher remained at Frampton Marsh throughout. In addition to the Tacumshin bird, adult American Golden Plovers were on Rathlin Island, Co Antrim, on 7th, still on Tiree, Argyll, to 7th and at Deerness, Orkney, on 8-9th. Up on Shetland, a Lesser Yellowlegs was a nice find at Baltasound, Unst, on 9th; it remained until 10th. Meanwhile, from a little closer to home, Temminck's Stints continued at Martin Mere, Lancs, to 6th and Titchfield Haven, Hants, to 7th. A juvenile Red-necked Phalarope called in at Attenborough NR, Notts, for a few hours on 10th, while others from last week lingered at Vange Marsh, Essex, and Blacktoft Sands, East Yorks, to 6th. The arrival of the first Yellow-browed Warbler is always a watershed moment in the birding autumn, with the magic date seeming to advance earlier and earlier into September as the years go by. This year it came on 6th, when single birds arrived on Unst and Mainland Shetland. And, while none arrived further south than Orkney this week, there already appeared to be a few tens strewn across the Northern Isles by 11th. Yellow-browed Warbler, North Ronaldsay, Orkney (George Gay). With them came a few rarer gems. Three early Lanceolated Warblers were welcome, with one trapped and ringed on Fair Isle on 5th followed by another caught on North Ronaldsay on 10th. The latter is, quite surprisingly, the first on the island since 2012 and just the fifth ever – making it remarkably rare there compared to nearby Fair Isle. The third was yet another for Fair Isle, the 97th in the island's history. Lanceolated Warbler, North Ronaldsay, Orkney (Lewis Hooper). Lanceolated Warbler, Fair Isle, Shetland (Tom Gale). Fair Isle also boasted two Arctic Warblers during the week, while the North Ronaldsay ringers got their hands on one on 7th. Further south, one was at Flamborough Head, East Yorks, on 5-6th and an elusive individual hung on at Hauxley, Northumberland, for three days, having first been trapped on 6th. In fact, Arctics outnumbered their close relatives, Greenish Warblers, of which four were seen. In Norfolk, birds were at Burnham Overy Dunes on 5th and Blakeney Point from 5-10th, while one was briefly at Flamborough Head on 6th and another lingered on North Ronaldsay from 7th. Arctic Warbler, Fair Isle, Shetland (David Parnaby). One of the more significant discoveries on the east coast was a smart Booted Warbler at Lowestoft, Suffolk, on 6th. It lingered until the following day, but was generally elusive, showing well on only the odd occasion. Another was on St Mary's, Scilly, on 10th. Meanwhile, no fewer than five Blyth's Reed Warblers arrived on Shetland, with birds on Foula and Fair Isle, at Rerwick, Mainland, and two on Unst. In contrast, there were only two Marsh Warblers, on Fair Isle and North Ronaldsay. Booted Warbler, Lowestoft, Suffolk (Andrew Easton). Half a dozen Icterine Warblers were seen, most notably including a bird on Tiree, Argyll, on 7th. 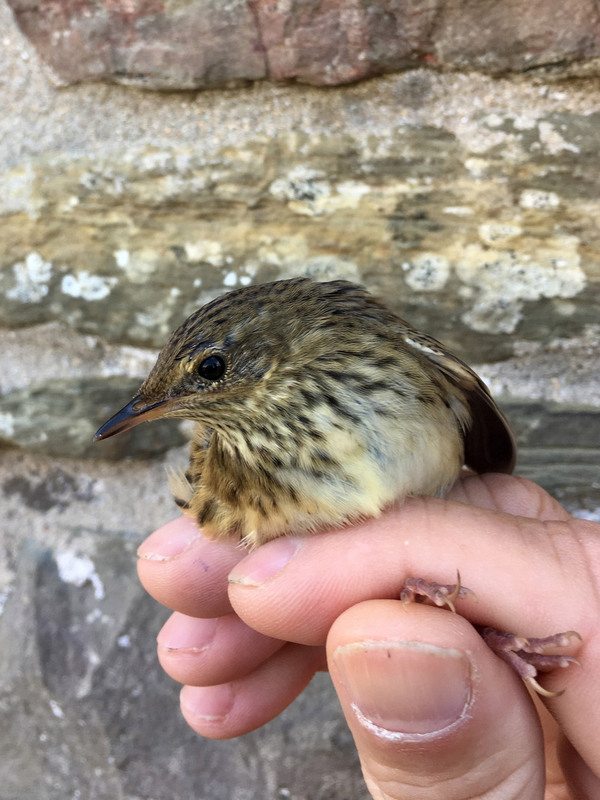 Just a couple of Melodious Warblers were noted: one on Skokholm, Pembs, on 5th and another near Kynance Cove, Cornwall, for a few days to 10th. Though the Northern Isles were littered with Barred Warblers, just a few were seen on the English mainland: birds were in Norfolk (two), Durham and Northumberland. Two were also seen on Scilly. A probable female Western Subalpine Warbler was at Mizen Head, Co Cork, on 9th. 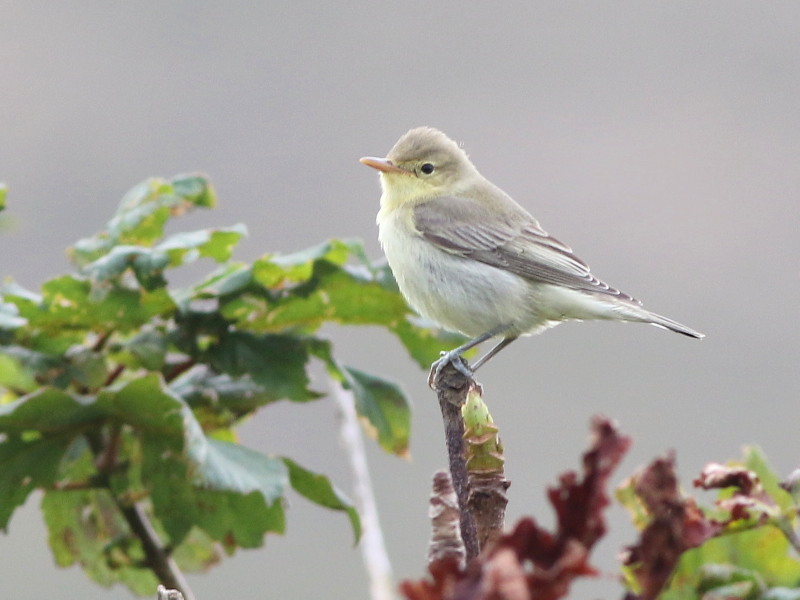 Icterine Warbler, Haroldswick, Unst, Shetland (David Cooper). A Red-breasted Flycatcher was at The Naze, Essex, on 6th, with others at Druridge Pools, Northumberland, on 7th and Gibraltar Point, Lincs, on 8th. The long-staying Red-backed Shrike was last seen at Wanstead Flats, London, on 7th, while the Whitburn, Durham, bird was still there to 9th, the day two different first-winters were noted in Pembrokeshire. A further bird was at Kynance Cove, Cornwall, on 7th. A new juvenile Rosy Starling arrived on Lundy, Devon, on 6th, while long stayers remained on St Kilda, Outer Hebrides, Tiree, Argyll, and at Torcross, Devon. Around 20 Common Rosefinches were seen in the Northern Isles, with a few also on the British mainland. One was trapped at Hauxley, Northumberland, on 6th, while at least two were in the Spurn and Kilnsea area, East Yorks, much to the delight of those visiting Migfest there over the weekend. The first Richard's Pipit of the autumn was on Fair Isle on 9th, while a Red-rumped Swallow was at Caerthillian Cove, Cornwall, the same day. Common Rosefinch, Spurn YWT, East Yorkshire (Ian Bollen). The only European Serin of the week was a bird at Ventnor, Isle of Wight, on 9th. Two Ortolan Buntings lingered at Portland, Dorset, to 5th, while another was in the county at St Aldhelm's Head on 6th. Fly-overs were at Dungeness, Kent, on 6th and Nanjizal, Cornwall, on 7th. Once again, the BirdMap of the week's Wryneck sightings showed considerable contrast. Around 30 were seen in southern England and Wales, including East Anglia, although just a single bird was seen on the British mainland north of the Humber – and that was an extremely confiding individual at Bempton Cliffs, East Yorks. There were three records from Shetland. 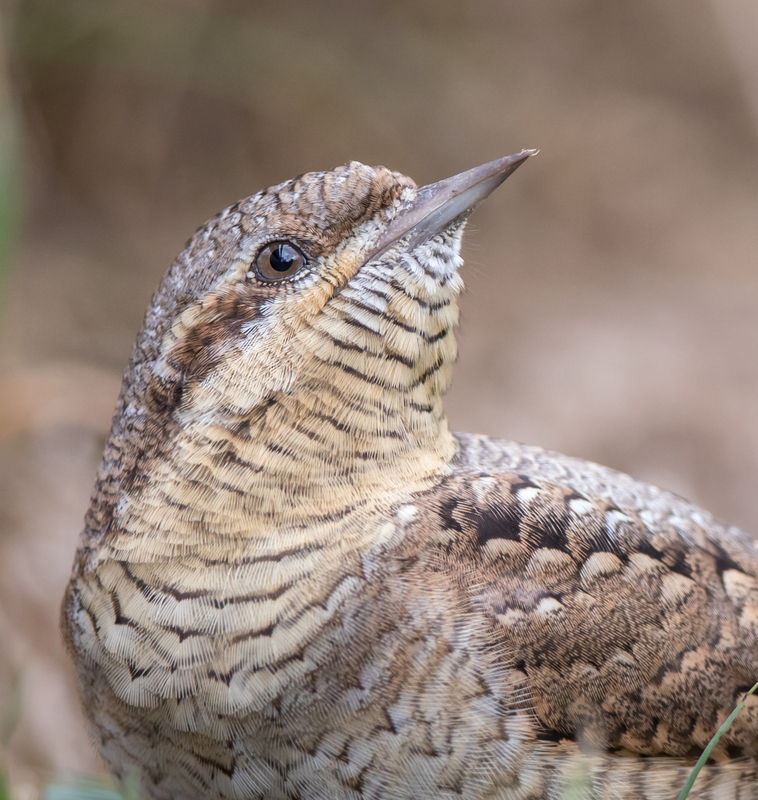 Wryneck, Bempton Cliffs RSPB, East Yorkshire (Paul Harris). Three Hoopoes were noted, the most unusual of which was a confiding bird at Cromarty, Highland, from 6th onwards. Another was in Swindon, Wilts, on 8-9th, and there was late news of a bird at Liskeard, Cornwall, on 3rd. Hoopoe, Cromarty, Highland (Susan H Wilson). A couple of Pallid Harriers were seen this week, including a new juvenile male on Fair Isle, Shetland, from 8th. Elsewhere, the wandering juvenile male continued to be seen on the Wirral, visiting Wales on 5th (it was seen at Shotton) before returning to Burton Marsh again on 10th. Interestingly, a third juvenile harrier, seen in Norfolk on 7th, appears to be a Pallid x Hen hybrid. First seen coming in off the sea at Sheringham, it was tracked between Wells-next-the-sea and Ringstead, where it was well photographed, revealing five obvious primaries and a broad wing, among other intermediate features. It seems Pallids are almost as regular as Montagu's Harriers these days, and just three of the latter were logged: the continuing female at Blacktoft Sands, East Yorks, late news of a male at Blue House Farm, Essex, on 4th and a juvenile at Bough Beech Reservoir, Kent, on 6th. Hen x Pallid Harrier, Ringstead, Norfolk (Les Bunyan). A smart juvenile Red-footed Falcon arrived at Gibraltar Point, Lincs, on 10th and was still there the following day. Meanwhile, on St Kilda, the Snowy Owl continued to be reported with regularity. Snowy Owl, St. Kilda, Outer Hebrides (Ciaran Hatsell). As well as the drake still at Abberton Reservoir, Essex, to 9th, another Ferruginous Duck was found – this time at Loch Leven, Perth/Kinross, on 9th. In Aberdeenshire, the Ring-necked Duck continued at Loch of Skene on 5th. We may be well into September, but Fea's-type Petrels continue to be reported. There was late news of one past Brandon Point, Co Kerry, on 2nd (reported on 9th) and another scythed past Seven Heads, Co Cork, on 10th. Three Wilson's Storm Petrels flew past Porthgwarra, Cornwall, on 8th, with one past Bridges of Ross, Co Clare, on 9th and another seen from a pelagic off Guernsey that day. There was a good count of 103 Leach's Storm Petrels at Bridges of Ross on 9th, with 1,200 Sooty Shearwaters also a notable total. There were also a couple of reports of Leach's from Cheshire (Hilbre Island) and Lancashire (Blackpool) on 7th and 10th respectively. Small numbers of Great Shearwaters continued to be seen off south-west England and Ireland, with a peak of 21 past Lizard Point, Cornwall, on 8th. At South Gare, Cleveland, the confiding adult Pomarine Skua continued to prove one of the most-twitched birds of the week – it was still there on 10th. Pomarine Skua, South Gare, Cleveland (Martyn Jones). A minimum of 11 Spotted Crakes remained on show, with two on the Isles of Scilly, one in Cornwall and two at Shotton, Clwyd, on 5th among the new birds. Long stayers remained on show at Eton Wick, Berks, and Willen Lake, Bucks. Just a couple of Glossy Ibises were noted this week, both in Devon. Finally, the ongoing influx of Western Cattle Egrets is worth a mention. Numbers continue to build on the Somerset Levels, where an amazing 54 were counted at Tadham Moor on 7th, with other significant counts including up to 11 at South Huish Marsh, Devon, and 12 at Pagham Harbour, West Sussex. Western Cattle Egrets, Catcott Lows NR, Somerset & Bristol (Andrew Kirby). Perhaps the most significant news was of two different Black-bellied Storm Petrels seen from pelagic trips to Banco de la Concepción, off Lanzarote, on 7th and 10th – the latter trip also producing a Swinhoe's Storm Petrel. These are the sixth and seventh Black-bellieds to be seen from the pelagics, and it is currently the only realistic way to stand a chance of seeing this austral species in the Western Palearctic. Black-bellied Storm Petrel at sea off Lanzarote, 10 September 2018 (Bob Flood/Scilly pelagics). Meanwhile, in Iceland, the Yellow-bellied Sapsucker continued at Apavatn to 7th, although there was no sign of it on 10-11th. The region otherwise remained quiet, with a couple of Rüppell's Vulture seen over Tarifa, Spain, on 6th and a Black-winged Kite just north of Antwerp, Belgium, on 9th. Switzerland's sixth Terek Sandpiper was at the Hagneck Delta from 10th. Yellow-bellied Sapsucker, Apavatn, Suðurland (Alex Máni Guðríðarson).